With this tough economy, you may have pushed your home improvements and renovations to the bottom of your priority list. However, economists affirm that the housing market is coming back. Also, with better loan rates, contractors and building materials, there are plenty of ways to stretch your dollar by taking advantage of the current home remodeling market. 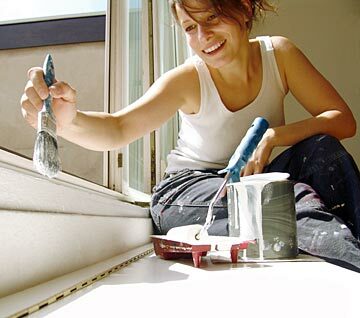 Here are five reasons why you should invest in home improvements today even if selling is not in your plans. Reduced Energy Expenses: When you spend money on making your home more energy efficient - like adding insulation, double-paned windows, programmable thermostats, and Energy Star appliances - you'll earn the money back, and then some, in your energy bill savings over the years. Decently Priced Contractors: Even though the housing market has recovered to an extent, many contractors are still looking for more work than usual to get their business back on track. This means that you can get reduced pricing and enjoy some big savings, especially if you let several contractors compete for your job. Shop your job to many different contractors and talk to your property manager about the kind of service your need, they can recommend a trusted contractor for your needs. Home comforts: If you're going to have to stay in the house anyway, why not make it as comfortable and functional as possible? Treat yourself to a bit of luxury by adding a sunroom, finishing that basement or attic, or upgrading the kitchen or bathroom. Customize: Remodeling gives your home a touch of personality it did not have before. Designed by you and your contractor, your remodel could actually be termed a reinvention. Prepare for future potential buyers: When people buy a home, they're usually also buying a to-do list - or maybe that should be called a "redo" list, as in " redo the kitchen," "redo the master bath." When you go to sell your home, there are going to be many things that you need to take care of. Why complicate the process by adding an extensive list of repairs and upgrades that you need to perform before your potential buyer will agree to the sale? Work these things into your budget now, and you'll save yourself a few headaches once you do get ready to sell. When money is tight, it may seem like the worst time to consider home improvements. However, taking on these projects now can actually save you money in the long run.